Explore elemental teaching models with a colorful flare! Discovering, exploring, singing, listening, dancing, improvising with the many sound colors found in the Orff classroom. We will also look at visual arts in musical settings in integrated arts activities. Rob Amchin is a Distinguished Teaching Professor at the University of Louisville and Concentration Coordinator of Music Education, where he teaches graduate and undergraduate music education courses. He studied music education at New England Conservatory of Music, and has Orff training from NEC, Hofstra University, Memphis State University, Hamline University, University of Michigan, and the Orff Institute (Salzburg). Rob is an internationally recognized teacher in Orff pedagogy. He presents workshops and artist-in-residence, Orff teacher-training courses, master classes, and in-services throughout the US and around the world including classes in China, Singapore, Finland, Russia, Austria, Canada, Israel, Hong Kong, and Poland. He has authored several books for Orff ensemble and recorder. Join Kate Bright as she takes you around the world in 80 beats! In this workshop, participants will explore the world of the Orff process and find new ways to sing, say, move, and play. By using simple speech patterns and easily created/obtainable manipulatives, teachers will learn how to process rhythms outside the world of 4/4. Kate Bright is a music teacher at Lincoln Charter School in York, PA, where she teaches approximately 700 kindergarten through fifth grade students. 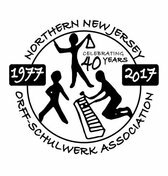 She is past-president of the Greater Baltimore Area Orff Chapter and the Philadelphia Area Orff Chapter, and has presented at the American Orff Schulwerk Association National Conference. In 2015, she received the Spotlight Award from the American Center for Elemental Music and Movement. She currently serves on the board of both ACEMM and the Harrisburg Area Contra Dance Association. to be held November 7-10, 2018 in Cincinnati, OH. Join us on Saturday, January 26, 2019 for a Chapter Sharing Workshop featuring teacher-tested and kid-approved lessons presented by our membership. In the case of inclement weather, the workshop will be held on February 2, 2019. Workshop participants will be involved in a number of different activities for grades 1-6, including songs and dances from America and around the world. Activities will involve the participants not only in singing and dancing, but also playing the barred instruments and recorders. Participants should look forward to the opportunity to improvise and create as well. Rick Layton and Jacque Schrader have taught adults in Orff Schulwerk teacher education courses (including Movement, Recorder, and Levels I, II, and III) in the U.S. for over thirty years. Since the late 1980’s they have taught at University of North Texas, Southern Methodist University, George Mason University, Dominican College/San Francisco Orff Course, and the University of St. Thomas. Additionally, they have taught at numerous state and national NAfME conferences, and AOSA national conferences and chapter workshops. 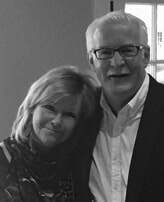 Dr. Layton and Ms. Schrader’s teaching has also included extensive international travel, leading courses in Taiwan, China, Australia, Poland, Slovakia, Canada, Germany, Dubai, and at The Orff Institute in Austria. Dr. Richard Layton is the Upper School Performing Arts Chair at The Key School in Annapolis MD, where he teaches 8th grade Orff Schulwerk as well as Upper School music theory, chorus and chamber choir. A veteran at The Key School for 38 years, Dr. Layton has also been a professor of music theory at the University of MD since 1992. Jacque Schrader teaches students in grades 1-7 at The Key School in Annapolis, MD. Ms. Schrader is a recipient of both the NJMEA Master Teacher Award and the New Jersey Governor’s Award for Excellence in Arts Education. Ms. Schrader served on the American Orff Schulwerk Association’s Board of Trustees from 1995-2000. We all want our students to have a deep love of music and movement inspired by aesthetic moments, but helping students attain those artistic high points can seem overwhelming to achieve. During this workshop, participants will explore approaching music and movement through playful games and other entry points. Participants will then take the material explored in those initial approaches and use it as fodder for making music and movement come to life together. Andrew Ellingsen  teaches elementary music and works as an instructional coach in Decorah, IA. He earned his B.A. at Luther College and his M.A.M.E. at the University of St. Thomas with a dual concentration in Kodály and Orff Schulwerk. 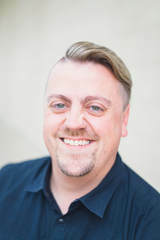 He has served on the OAKE national board, a committee for AOSA, and has held leadership positions in state and regional organizations for both Orff Schulwerk and Kodály. 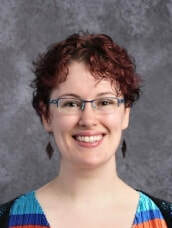 Ellingsen teaches in the Orff Courses at the University of St. Thomas in St. Paul and Southern Methodist University in Dallas and has presented at both OAKE and AOSA national conferences.